Keep those feet propped up, and take care! You’re doing great with the knitting! Thanks. I am learning. 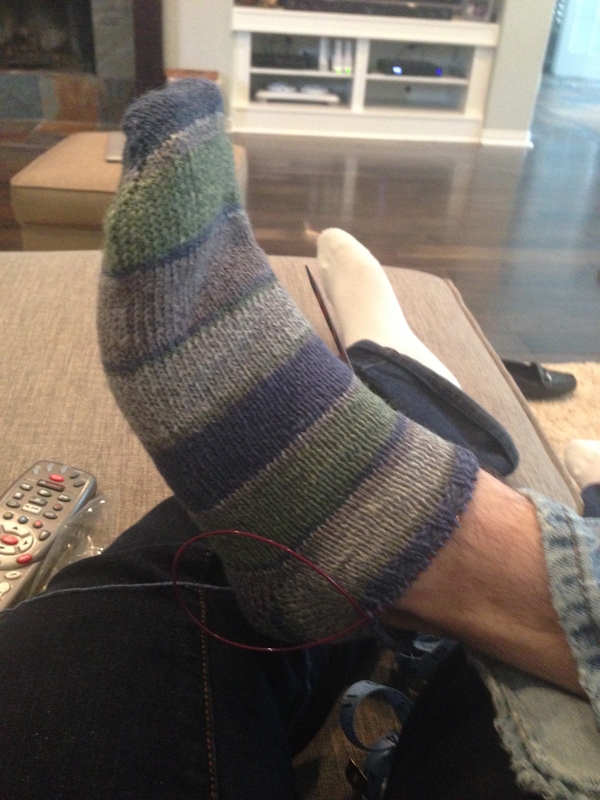 I had gauge issues so they became my husband’s socks. And I am not enamored with the short row heel. I wanted to do ribbing but it is taking forever.